We are your Premier Wedding Service Provider in the Gulf Coast...Beach Weddings Alabama®! Don't Take Our Word For It. Take Theirs! I loved It! We had a wonderful experience. Miriam is absolutely wonderful! She is very informative and organized. Everything was great! I wanted to say thank you again for the most amazing and special wedding ceremony. It went above and beyond what we imagined. We will be recommending you highly to anyone that asks. We offer ceremonies in some of the most picturesque areas in Orange Beach. We want you to be close to amenities but far enough away from casual beach goers. We work hard to find you the location of your dreams! We have connections to several beautiful beach homes in the area! During our consultation we can discuss these homes as well as any beach homes you are connected to and considering for your wedding ceremony and/or reception. Get your party on! We can gladly add on planning and executing your reception! We have a beautiful, private venue where we would be proud to host your wedding. We will work through everything with you, from the DJ to the catering. We know that weddings can be expensive. It is our goal to help offer whatever discounts we can, so help your pocketbook. Check back here often for our latest discounts and promotions! 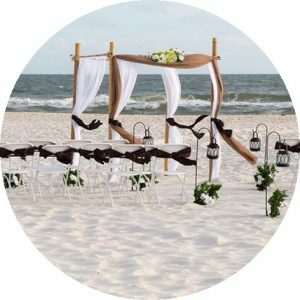 Beach Weddings Alabama is an all-inclusive and custom beach wedding experience in Orange Beach! 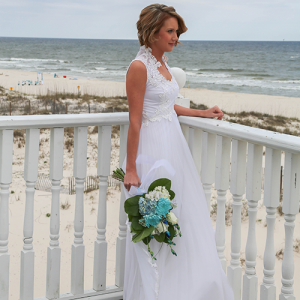 We are the Top Rated Local® beach wedding company in Alabama. We want to help you plan your dream beach wedding, all while keeping your budget in mind. For the past several years, we have had the pleasure of coordinating, executing, and photographing some of the most beautiful beach wedding and vow-renewal ceremonies. 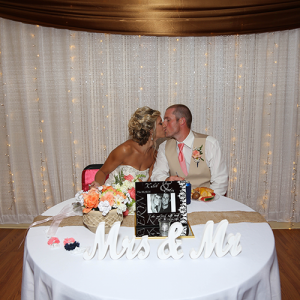 Whether you want just the ceremony, or a package that includes the reception, music, and decorations, we can do it all! We can even coordinate a hotel or beach house for you and your guests. 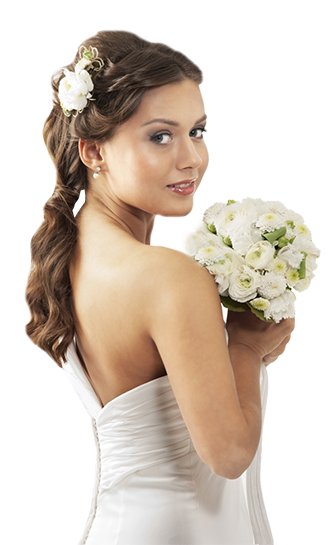 Our team is passionate and dedicated to giving you the best wedding experience possible! Give us a call today to learn what we can do for you!